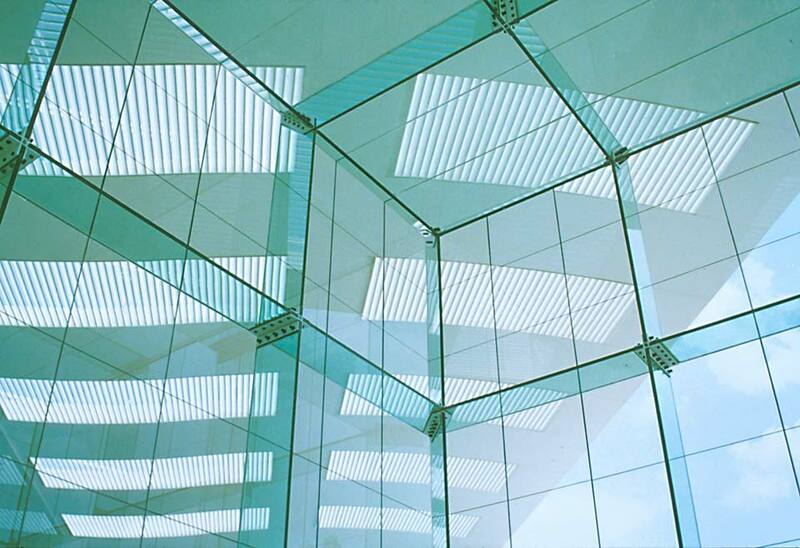 Two way spanning portal-framed structural laminated glass cube. The 8m x 8m x 8m structure is supported by a grid of laminated toughened glass beams and columns joined at the intersection using a friction grip connection. 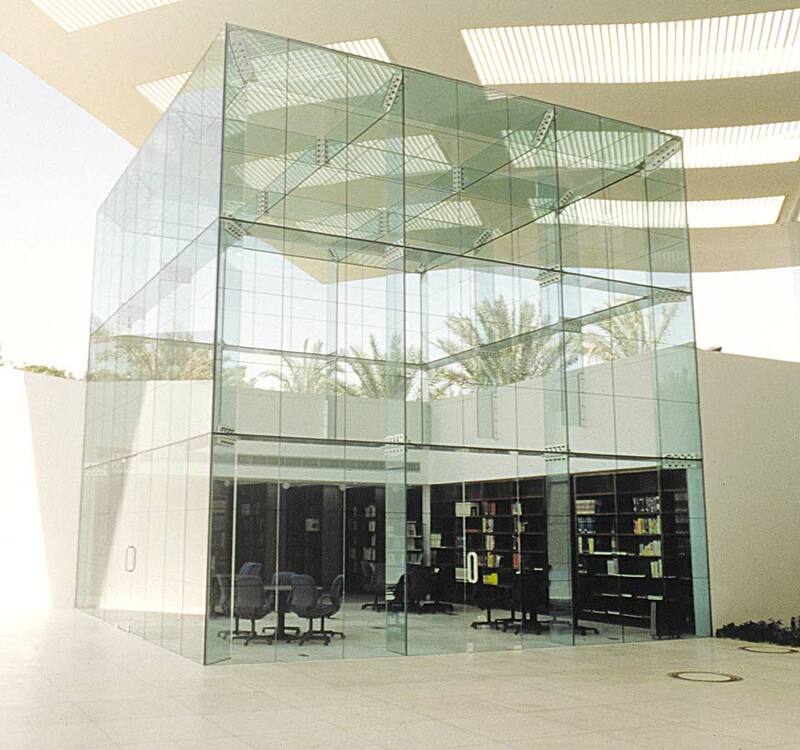 The 2.67m high façade panels are stacked (supported one on top of the other) rather than hung and are structurally siliconed to the glass beams and columns.